Ibrahim Delibalta received his B.S. in EE from Boğaziçi University, Istanbul in 1993 and M.S. in EE from University of Southern California in 1995. He is currently pursuing a Ph.D. in Design, Technology and Society, an interdisciplinary program at Koç University, Istanbul. He worked in Silicon Valley from 1995 to 2010 at Intel, Silicon Graphics and Cisco Systems, respectively, in the field of high performance microprocessor and network-processor chip design. 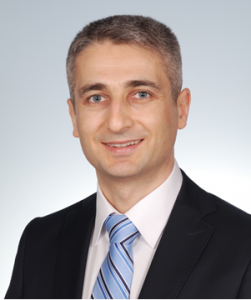 He worked in the Turk Telekom Group, holding various positions from 2011 to 2016, the last one being senior manager of Emerging Services and R&D. He is currently a senior research engineer at OML, concentrating on chip design.